Our Debt Management Program is not a loan. Our program is a consolidation of your payments into one payment and can be extended to 5 years if required. Get assured Debt Relief with an alternative to Debt Settlement through our Debt Management Program. We will provide you with the best information available. No credit checks are required and your interest payments, late fees and over limit fees will be reduced or even eliminated. Find out About Our Debt Consolidation Process. Debt Consolidation through Solutions™ Credit Counselling Service is a safe and viable alternative to bankruptcy. Payments are consolidated into a single monthly payment, based on your ability to pay and can be extended to a maximum period of 5 years. And don't worry about dealing with your creditors, that's our job. 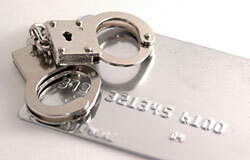 Debt Collectors’ calls will be eliminated and your rights will be protected. Nonetheless, as our client, in the event that you can't afford to pay your creditors, we will provide free access to confidential legal advice and offer referrals to other professional agencies where appropriate. Contact our Debt Consolidation department by calling Toll Free 1(877) 588-9491 or filling out our Quick Contact Form and we will get back to you. Our Debt Consolidation staff will review your current financial situation including monthly income, expenses and current debts. Solutions™ Credit Counseling Service negotiates to lower interest rates and monthly payments with your creditors. You submit your low monthly payment to us “In Trust” and we work with the creditors. Contact our Debt Consolidation department to obtain monthly statements and outstanding balances at anytime. Debt Management Program is a consolidation of payments. It is not a consolidation loan and it is only for special people not for everyone. It is a voluntary Debt Consolidation repayment program designed to work with unsecured debt and get you Debt Relief. At Solutions™ Credit Counselling Service we will work with you to develop a Debt Management Program that satisfies your creditors, preserves your relationships and safeguards your assets based on your financial terms. Our built-in financial literacy services will help you develop the skills you need to manage your debt and your money, ensure your financial success and realize a Debt Free future. Thousands of Canadians have avoided bankruptcy and are repaying their debts with the help of a Debt Management Program. Speaking with a credit counsellor will not hurt your credit score in Canada. In some cases enrolling in a Debt Management Program through a credit counselling agency can benefit you because various Canadian creditors view this as a move in the right direction – the card holder is making a serious effort to pay off their credit card bills. Call Solutions Credit Counselling at 1(877) 588-9491 or fill out our Quick Contact Form.